Each day of the week is important and each moment of all the days one does Seva. But we give special importance to Guruwar (Thursday) which means the day of the Guru. Thursday is also considered as the day of planet Jupiter and it’s master is Guru thus a great day to focus on your devotional practice towards your Guru. Besides this there is Bada Guruwar which falls on the first Thursday after every Amavasya i.e, no moon day. On this particular day we offer kheel Prasad (sugar coated roasted barley) to our Guru. There are certain rituals chosen to be followed on this day by the devotees of Guruji, which will in turn help increase their Guru Dhyan not only on Thursday but also on other days and make them stay focused on their life. Havan is sacred purification ritual that is performed to invoke the Divine powers. Many herbs like lotus seed, ghee, sandal chips, fruits, flowers, honey are offered in Havan Kund, during the performance of Homa. Scientifically, matter can neither be created nor be destroyed, it can only be transformed from material form to non- material form and is said to directly reach the divine. Homa purifies the atmosphere and has many remedial values too. Prasad is prepared by devotees, with their Body, mind and soul alligned in Guru Dhyana. It is blessed by Guruji before being distributed, elevating its purity and piety. As evidenced by eminent researchers and given in the ancient scriptures, the divine energy in the Langar Prasada, helps the mind to achieve a state of calm and focus. Langar Prasad is consumed by devotees on the same platform so it creates a sense of equality. Things to follow on Guruvaar (Thursday)? This day Ganesh Chauth devoted to Lord Ganesha. It comes after about 80 days after the day of Deepawali, every year. All the disciples of Guruji keep a fast, without consuming water. As Prasad, Laddoos are made with “Gud” (Jaggery) and “Til” (Sesame) along with Tea. Thousands of devotees pay their visit on this day to get blessings. Lord Hanuman personifies the Supreme God of Seva. The devotees at Himgiri to seek inspiration from Lord Hanuman to do seva.This day is devoted to Lord Hanuman. It is celebrated on 15th day of Shukla Paksha during the month Chaitra. Lord Hanuman is a symbol of strength and energy. On the eve of Hanuman jayanti, devotees pay their offerings and seek protection and blessings. On this auspicious day, we try to spread positive vibrations by reciting devotional hyms like Hanuman Chalisa. 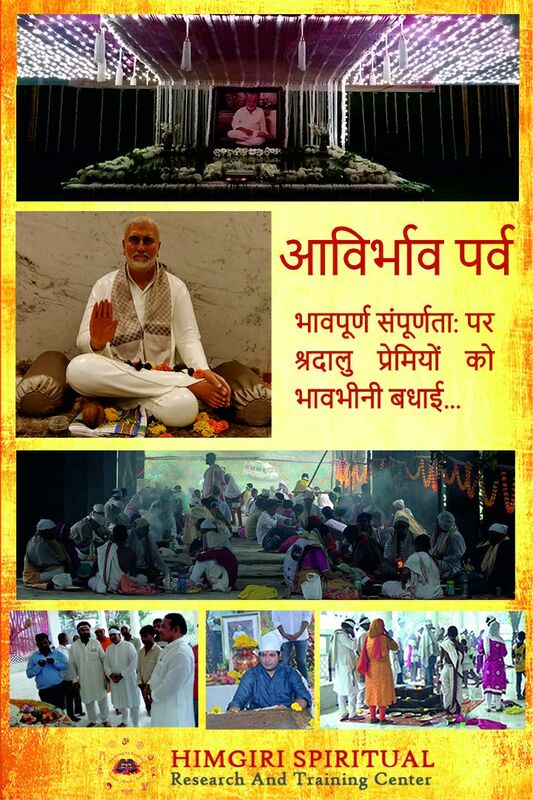 Celebration of this festival helps to revive the virtues which are chief qualities of disciple.